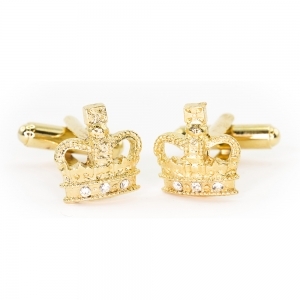 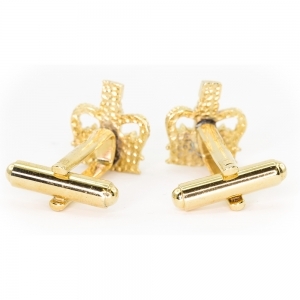 These cufflinks are hand cast in the UK by skilled craftsmen of Crowns&Regalia. They are made from Lead-Free English pewter and gold toned and set with Swarovski Elements. 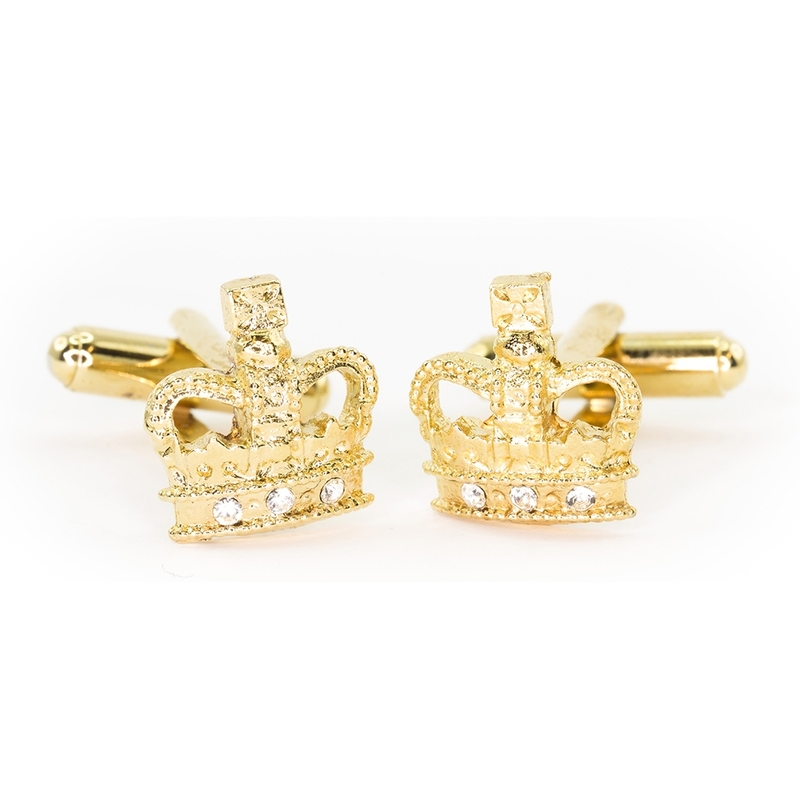 They are inspired for the design of the Coronation Crown. 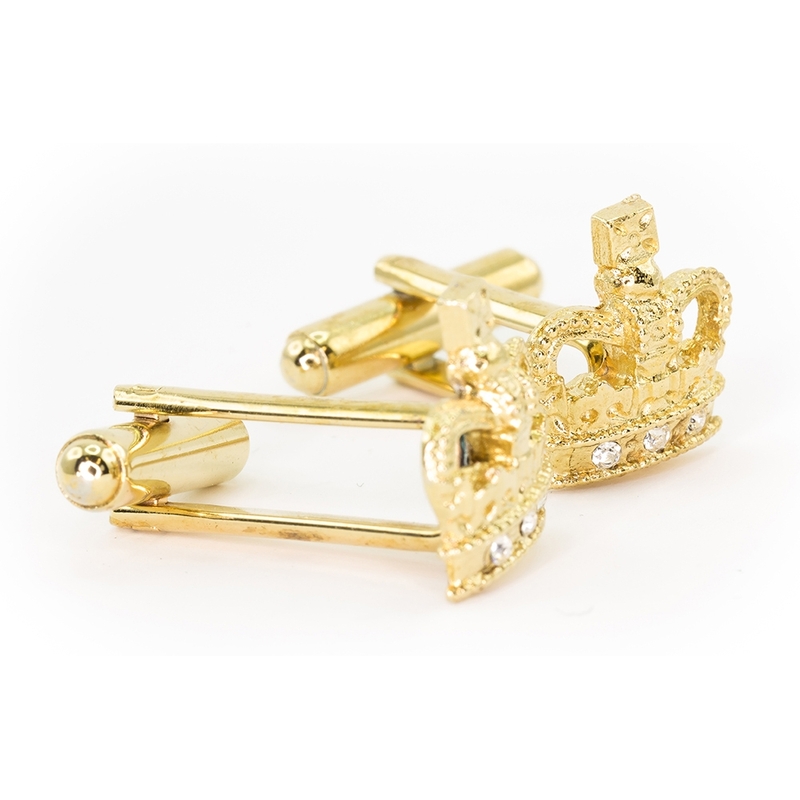 Taken from the top cross, the Orb symbolizes the Christian faith dominating the world. 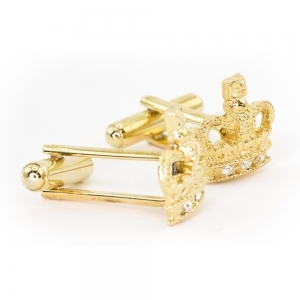 Small lobster clawemerald crystal/ siam crystal / white crystal 18k gold 0.